FORT LAUDERDALE, Florida. As the American population ages, more couples and families are taking out long-term care insurance. Long term care insurance can protect your family from the unexpected costs of emergency nursing home care, assisted living care, home nursing services, and long-term rehabilitation needs. According to AARP, today’s long term care policies can have many restrictions. If you have recently taken out long-term care insurance, you may have to wait three months before you can make a claim and the policies may only cover long term care up to three years. Long term care insurance can be expensive. According to AARP, it can cost you as much as $2,700 a year. In some scenarios, it can cost even more! When you’re paying that much, you expect your insurer to come through for you when you need it to. However, according to Forbes, many individuals with long term care policies find themselves facing difficulties when they go to make a claim. According to Forbes, long term care policies can be the most challenging to navigate when it comes to making a claim and getting a settlement. If you have an older contract, your settlement process may be particularly challenging. Why? Older long term care policies were not written the way newer policies have been written. Assisted living facilities weren’t as popular when many of these earlier policies where written. Families looking to receive assistance at an assisted living facility may find that they get more pushback from insurers. Older policies were written to provide more complete coverage, but as the industry has matured, insurers learned that this was not a profitable model. 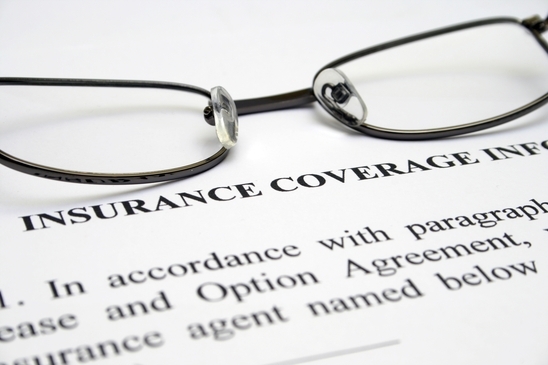 Still, if you hold an older policy, your insurance company is required to honor its commitments to you. What are some common problems that individuals encounter when making a long-term care claim? Insurers will want to make sure that your loved one is being cared for by a licensed provider. If you plan to use an assisted living facility, you’ll want to make sure that the facility is appropriately licensed. Other insurers may have strict criteria for the care center you use. Before placing your loved one in care, it is important to check with your insurer regarding the criteria they want to see before they make a payment. Sometimes insurers may deny home care services if they are provided by an extended family member or if the care is “light.” If you or a loved one has trouble performing basic life tasks, however, the policy may be required to cover light care or home assistance. The home health care worker, may be required to furnish care notes to the insurance company, so it may be wise to hire someone who knows how to do this. Some policies require the provider be pre-approved or have certain qualifications. If you have questions about whether you might be entitled to make a claim contact Leader & Leader, P.A. a long-term care insurance claim lawyer in Fort Lauderdale, Florida who may be able to assist you. Another common issue is when a person fails to make a premium payment due to cognitive decline. If you or a family member missed payments, it is important to understand that you may still be entitled to coverage as long as the lapsed payments did not go on for too long (depending on the policy language regarding this issue). Before making any claim, take the time to review your policy. If you don’t understand aspects of your policy, the qualified long-term care insurance claim lawyers in Fort Lauderdale, Florida at Leader & Leader, P.A. may be able to help you. Our firm can review your policy, submit additional supporting information and evidence if needed, and fight to help you get the claim you may deserve under the law.